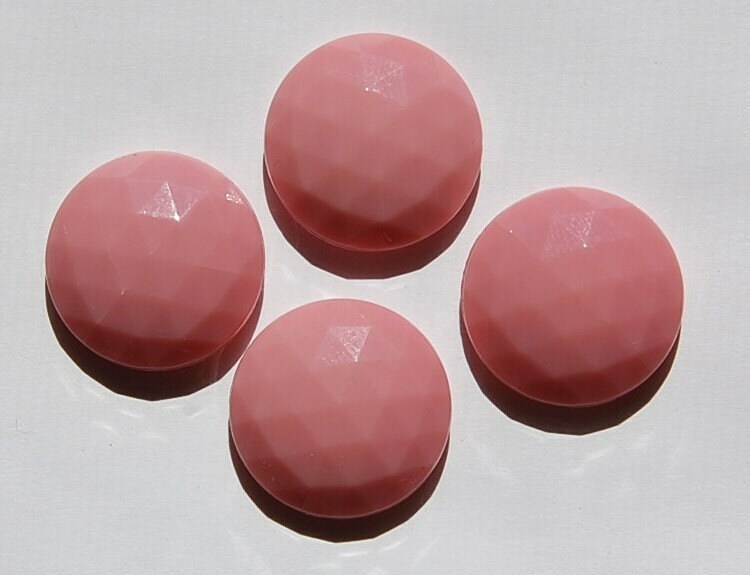 These are vintage creamy pink glass cabochons that were made in Germany. 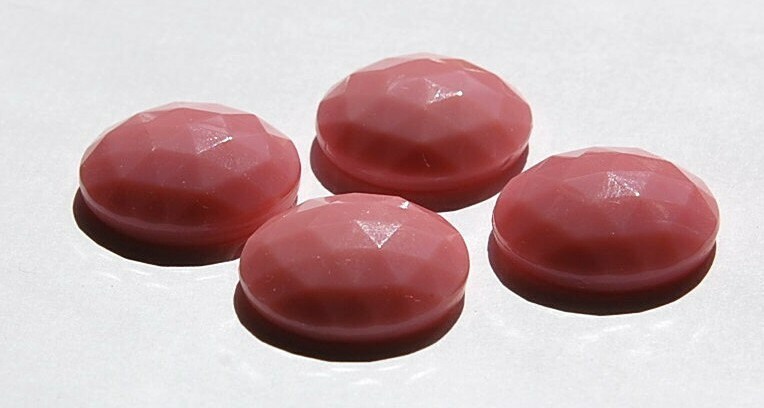 They have a faceted top. The back is a button back with a thin rim for gluing. They measure 22mm. You will receive 4 cabs. Very nice, and they came so fast! Love them, Thank you :o) Merry Christmas!